Too many players may spoil the co-working space party. The modern glass-and-concrete structure on Residency Road in Bengaluru looks much like other posh buildings dotting the arterial road, but the denizens of the city still lament the loss of the space that used to be a favourite movie theatre called Galaxy. Enter the premises, and the place gives you the feel of a boutique hotel till you catch sight of meeting rooms with glass fronts and cleverly designed workspaces in all shapes and sizes, from entirely secluded cabins to common work areas. 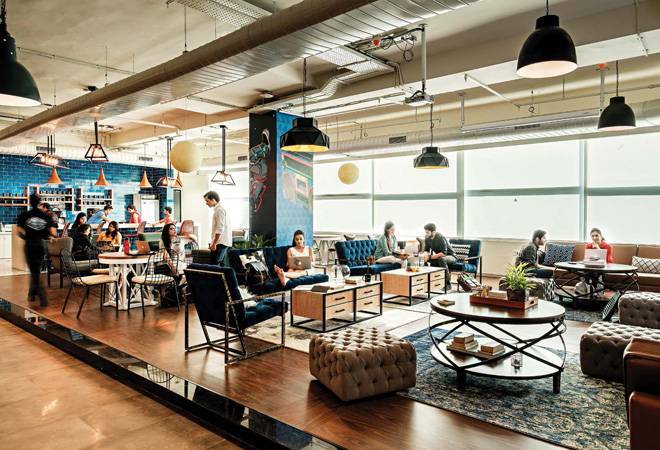 It is WeWork Galaxy, the first shared workspace set up by WeWork, a New York-headquartered co-working space provider worth a stunning $20 billion; the Bengaluru project has been done in collaboration with its India partners. The Silicon Valley of India is home to expansive IT campuses and tech parks, and just like them, WeWork Galaxy offers all new-age facilities and then some more. It is located in the central business district of Bengaluru and unlike the functional IT offices, boasts ginormous glass windows, a swimming pool, a Jacuzzi, cabanas and a rooftop bar, spread across 1.4 lakh sq. ft. The people milling about also seem an eclectic lot - right from marketing hustlers glued to their smartphones to micro teams working on 'stealth' products. To date, WeWork runs a total of six facilities in India - three in Bengaluru, two in Mumbai (one of them is a 1.9 lakh sq. ft centre in the Bandra-Kurla Complex, or BKC) and one in Gurgaon in the National Capital Region (NCR). WeWork is not the only company pushing expansion. Smartworks, another co-working space provider, recently announced a 3 lakh sq. ft facility in Bengaluru, taking the company's total office space to 1 million sq. ft across nine cities and 15 centres. This is in line with its plans to grow its footprint by nearly 400 per cent. Similarly, Workspace, iKeva and London-headquartered Avanta have also launched big projects and announced growth plans. Avanta India has come up with its business centre in NCR and aims to follow it up with serviced workspaces in BKC and Lower Parel in Mumbai. Workspace, which targets Fortune 500 companies, funded start-ups and mid-sized firms, has launched its operations in Bengaluru this year, offering 65,000 sq. ft of premium space. It plans to open multiple offices there and is plotting further expansion to all major cities in the next few years. Hyderabad-based iKeva, with six centres in five Tier-I cities and focussing on small-to-medium companies, will add 50-80 centres in the next three-four years. IndiQube, another Bengaluru-based provider with 15 centres in the city, has announced the launch of its first office space in Pune, in sync with its plan to expand to six major cities - Mumbai, Delhi, Hyderabad, Chennai and Ahmedabad besides Pune - by the end of 2018. Y Combinator-incubated Innov8 opened its seventh centre a couple of months ago and plans to set up five more within this year. Also, late last year, Nimitaya Group's GoWork launched two co-working hubs in Gurgaon spanning a total of 8 lakh sq. ft. It will now make a foray into other cities, including New Delhi and Bengaluru. Going by this frenetic pace, the concept of co-working hubs is rapidly becoming the new 'normal', at least in the Tier-I cities. Of late, co-working players, both local and global, have started adding a dizzying number of properties to their portfolios. A report by the CBRE Group, the largest commercial real estate services and investment firm in the world, stated that demand for co-working spaces continued to witness an uptick in 2017, almost quadrupling to touch 2.6 million sq. ft, as both global and domestic players expanded their operations in key cities, including Bengaluru, Gurgaon and Mumbai. According to real estate consultancy JLL India, the addressable market is estimated to be 15.5 million sq. ft in just six major cities - Mumbai, NCR, Bengaluru, Pune, Hyderabad and Chennai - while the potential market size for the co-working segment currently stands in the range of 12-16 million seats. The growth was initially triggered by a burgeoning start-up ecosystem as young companies started looking for sound infrastructure, great flexibility (upsize or downsize fast is the start-up motto and the co-working model offers just that) and good amenities at an affordable cost. Unlike traditional renting/leasing, upfront capital expenditure is minimal for built-to-suit office spaces. A work desk at one of the co-working hubs may cost between Rs 3,000 and Rs 21,000 per month per person depending on the type of seating - hot desk, permanent desk or a private cabin (see table Pros and Cons). Soon after, blue-chip companies, as well as small and medium enterprises, walked in, aiming to provide great work environments at lower net costs. In fact, companies can save as much as 20-40 per cent in rental costs, say industry experts. And convenience has been a critical factor all along as availability of high-quality office assets in prime locations is shrinking fast. Outsourcing office management to co-working operators is another major benefit as one can focus on the work without any disruption. Finally, these hubs act as vibrant communities, and people from different backgrounds get to interact, sparking off ideas and business opportunities. Start-ups have been quick to grab these advantages. There is Rashmi Daga who runs FreshMenu, a full-stack foodtech start-up with own kitchen and delivery staff. From a mere concept in 2014, it has grown rapidly and currently has several hundred employees on board. But Daga is not worried about the infrastructure as she uses a co-working space provided by Bengaluru-based IndiQube. "I do not have to worry about how large FreshMenu will become. My space will evolve along with it." There is more to it for the likes of Narendra Bharani, head of sales at the marketing automation software firm iPresso. He uses a co-working space managed by CoWrks, a large-format shared office space operator, and finds the synergies quite fulfilling. "Co-working provides you with a wider network and a vibrant community. It does not seem monotonous, and every day, there is something new and different to experience. CoWrks has helped me clinch a lot of deals. It has helped me connect with different people who think differently." 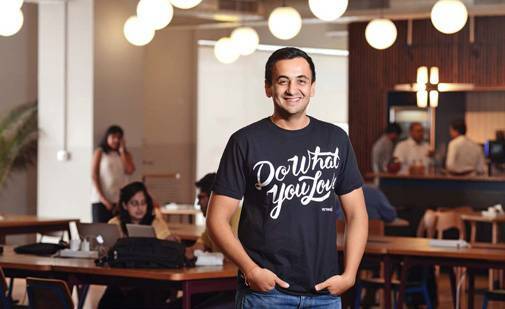 Even among companies which can well afford a place of their own, the demand for a piece of co-working space is on the rise although it could be a part of the people strategy, says CoWrks CEO Sidharth Menda. "The modern workforce has evolved, and the millennials are not attuned to working from conventional workspaces. Also, start-ups do not have resources to focus on non-core areas like reliable Internet connectivity, power, water or security. That is why co-working spaces make a lot of sense." 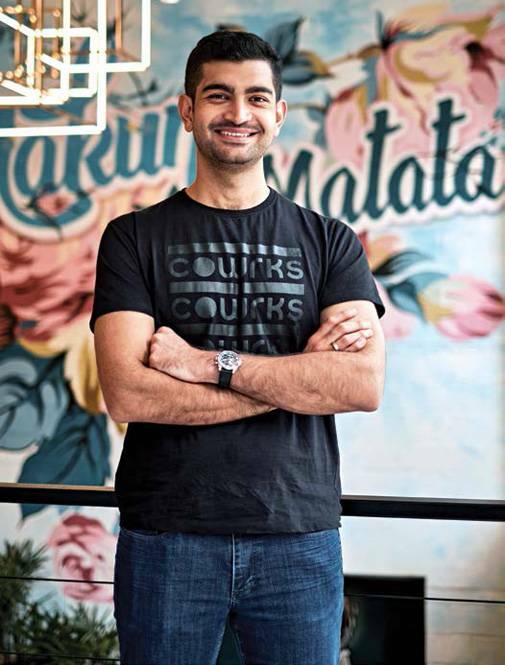 Karan Virwani, Chief WeWork Executive Officer at WeWork India, concurs. "It is not just start-ups. Even large enterprises are moving into co-working spaces. A significant chunk of our clientele is Fortune 1000 companies. Moreover, a funky workspace helps companies attract and retain talent." While most of the space requirements are addressed by traditional real estate companies such as RMZ Corp, K Raheja and the Embassy Group, either in partnership with global players (like WeWork) or on their own, a large number of new-age entrepreneurs have entered the segment in the recent past due to low entry barriers. According to industry estimates, around 400 branded and non-branded operators are working across the country, including the likes of 91Springboard, Awfis, The Playce, WorkLoft, IShareSpace, BHIVE Workspace and Regus (the India arm of IWG plc, a multinational headquartered in Zug, Switzerland). Together, they have leased around 3 million sq. ft of office space across 350 locations. However, half of these locations are in a handful of cities such as Bengaluru, Mumbai and Gurgaon, which indicates it is still not a widely adopted practice. Does it mean the co-working space is getting too crowded too soon, especially by the new-gen companies leveraging the lack of entry barriers? To start with, the industry has not matured yet, and as long as new companies have the capital to invest in space and infrastructure, they can provide co-working spaces without delving deep into more critical areas like differentiation and innovation. Moreover, venture capitalists are also entering this space. Sequoia Capital India has invested $20 million in Delhi-based Awfis, which operates 50 workplaces across eight cities; Bengaluru-based BHIVE has raised funding led by Blume Ventures while Innov8, 91Springboard and InstaOffice have also got funding. More funding is expected this year, paving the path for rapid growth even for newcomers. While stalwarts like Virwani and Menda belong to families who have been in the real estate business for decades, there are successful operators like Rishi Das who are new to the game. Das started IndiQube in 2014 and currently caters to over 135 companies across 15 offices in Bengaluru alone. "We have provided our services to companies such as Bluestone, Lendingkart and Micromax. The potential for growth is immense," he says. Virwani is not too worried about competition. "We are addressing a particular segment of the market which values quality and not just price," he points out. Menda of CoWrks acknowledges what is happening on the ground. "Yes, the entry barriers are low. But over a period of time, location, support quality and service will speak for themselves, and it will lead to a shake-out. It will separate the wheat from the chaff," he points out. The CoWrks CEO estimates around $400 million in investment will flow into the co-working space in 2018 and it will be good for the segment's growth. "Early movers like us, with scale and a good understanding of the market needs, will eventually prevail. Depending on location and the kind of services offered, the cost of setting up one seat can run into several lakhs. This is a long-term industry and only the strongest will survive."